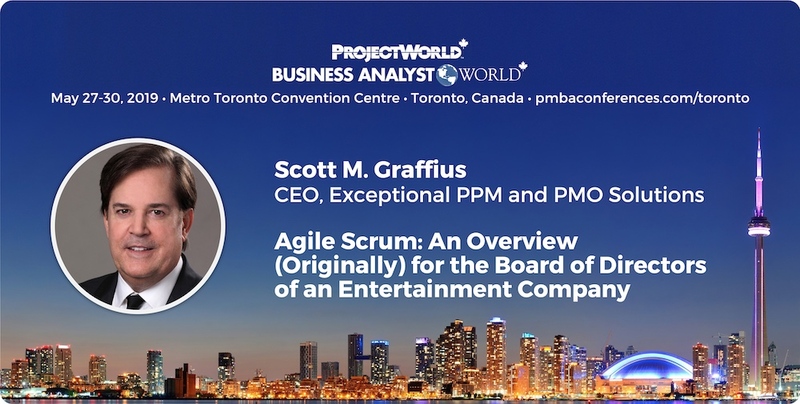 Scott M. Graffius, CEO of Exceptional PPM and PMO Solutions™, had consulting engagements with a division of a global entertainment business. A fantastic agile transformation experience and result with that client was the inspiration for Scott's book, Agile Scrum: Your Quick Start Guide with Step-by-Step Instructions. This is an update related to the book. 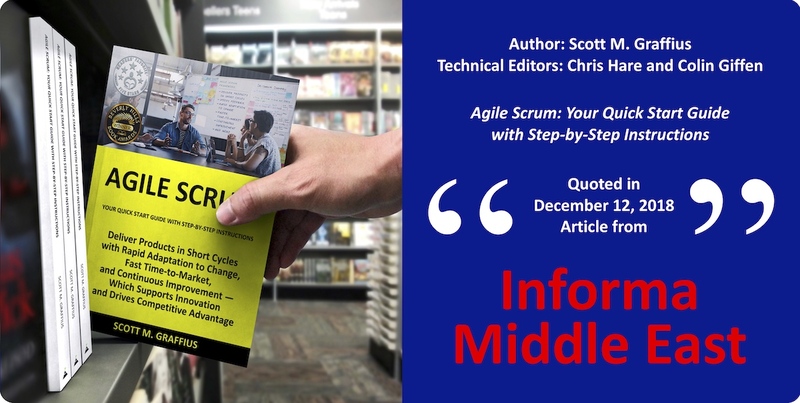 Content from Agile Scrum (Scott M. Graffius, author; Chris Hare and Colin Giffen, technical editors) is quoted in a piece by Informa Middle East. 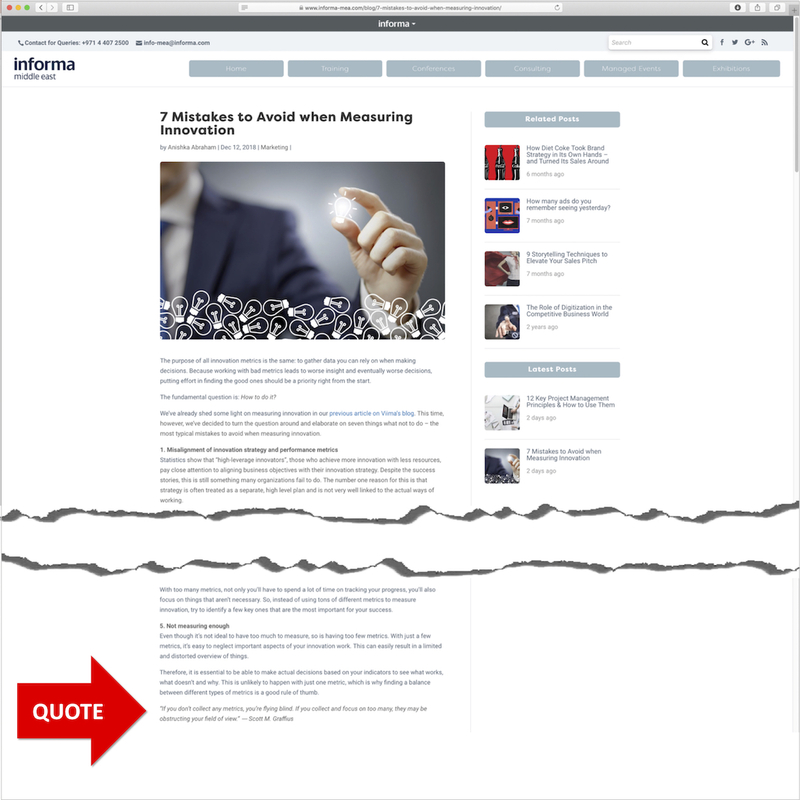 Informa is a leading Dubai-based company offering business intelligence, academic publishing, and services in event management. Agile Scrum: Your Quick Start Guide with Step-by-Step Instructions helps technical and non-technical teams develop and deliver products at astounding speed with rapid adaptation to change and continuous improvement—which supports innovation and drives competitive advantage. The book has garnered 17 first place awards. Scott and his publication have been featured in Yahoo Finance, the Boston Herald, NBC WRAL, the Dallas Business Journal, the PM World Journal, BookLife by Publisher’s Weekly, Innovation Management, and additional media outlets.